Ah, Penguins, my silly tuxedo clad friends how I love you, love you, love you. So adorable flopping around on the ice, who could help but giggle as you waddle around and slide down giant hills on your bellies. I don't know that there is currently another animal so loved by children and Hollywood at the moment. With great penguin animation like Happy Feet and the Penguins from Madagascar, kids would love to make penguin crafts all day long. Just watch out for those mean old leopard seals, they may eat your penguins if they don't realize they're made of craft materials first. To make this paper penguin face mask, just print out this printable penguin template and follow the included instructions. Outer skin of gourd must be removed before painting. To do this, soak gourd in water for several hours, then rub with sandpaper or a rough pot cleaner. Remove all rough spots. And adult should cut the gourd according to design and clean. it out. After and adult is finished cutting and cleaning the gourd, glue on the top (head) before painting. Paint the stem orange for the beak ....paint a white stomach and everything else is black. When dry, give the gourd two coats of shellac. For the penguin, cut feet from felt scraps and glue to body (see pattern, sketch c). It may be necessary to glue the penguin to a cardboard circle to help him stand. Choose one of the thumbnail images above to learn how to draw that cartoon penguin. Clothespin Penguins - We made these penguins with clothespins, a finger of an old glove, paint, and some crafts foam. Learn how to make this little guy too. Bobbing Bird Sock Crafts - Find out how you can turn a 1 liter plastic soda bottle into a cute penguin. Cinnamon Clay Gingerbread Penguin Crafts - Follow this recipe to make yourself a cinnamon clay Christmas ornament. Egg Carton Penguin Craft - Make this adorable penguin using an egg carton, paint, craft paper, pipe cleaner, small pom poms, scissors and glue. Fingerprint Penguin Craft - This is a fun craft for children where they use their fingerprint to design a penguin. Foot Print Penguin : Bird Crafts for Children - Use your foot print along with craft materials to make a cool penguin. Light Bulb Penguin - Learn how to turn a light bulb into a beautiful penguin Christmas tree ornament. 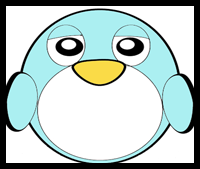 Light Bulb Penguin : Making Birds Arts and Crafts for Kids - Transform a blown light bulb into a cute penguin. Paper Bag Penguins : Making Birds - These penguins are easy and interesting to make! Paper Maché Penguin - This is a fun and messy penguin craft for children of all ages. Paper Mache Penguin : Penguin Crafts for Kids - This kids craft will surely last for years what with its sturdy cereal box construction and paper mache design. Penguin Beaded Safety Pin - Easy pattern to make a safety pin jewelry. Penguin Doll : Learning How to Make Handmade Dolls - Fun for the child (or adult) that loves penguins! 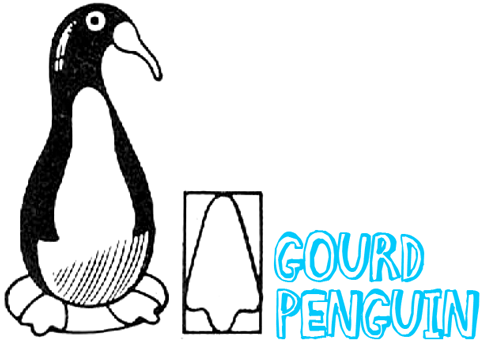 Penguin Finger Puppet - Find out how children can make their own penguin finger puppet using construction paper. Penguin Ornament Felt Craft for Kids - Learn to craft this penguin ornament with a little sewing for your Christmas tree. Penguin Puppet - This is a simple penguin craft for children to make and play with. Polymer Clay - Penguin Napkin Rings - Make penguin napkin rings from Polymer Clay and cardboard rolls. Pop Bottle Penguins - Make an adorable penguin with a recycled soda bottle, paint, ribbon, and pom poms. 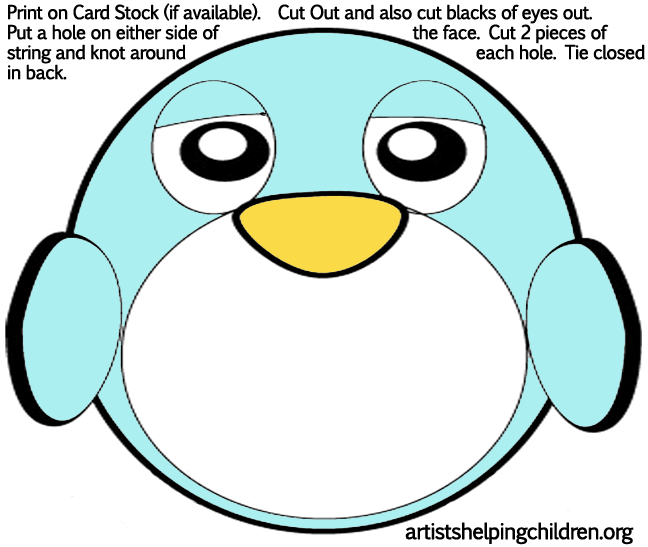 Portly Penguin Craft for Kids - This cute penguin makes a fun summer project for kids and adults. Soda Can Penguins - This penguin is made by painting a soda can and adding wings and face. Fun! Styrofoam Penguin Craft - Use Styrofoam products and a few other craft materials to make this adorable penguin. Winter Craft Activities for Kids - Make this lovely penguin puppet craft with your children.